Dr. Rumack notes that the FDA chose to hide this finding from the public and higher health officials. Unlike the US, the UK and Australia, the majority of the governmental health ministries in the modern industrialized world do not take an official national stance on the vaccine-autism controversy and other serious vaccine-related injuries. Only nineteen countries, including the US, have no-fault policies to the pharmaceutical industry for vaccine injury compensation programs. This is partially due to the American and British health agencies being heavily compromised by private vaccine business interests. The revolving doors and conflict of interests between these federal agencies and the pharmaceutical industry have been well documented. In the US, the CDC’s vaccine advisory community are in the deep pockets of pharmaceutical firms. This is not the case for most nations where independent and scientific integrity in ruling compensation for vaccine adverse events remain the norm. In 2014, French authorities ruled there was a direct relationship between the Hepatitis B vaccine and a sudden rise in multiple sclerosis. In 2012, after a long investigative trial, an Italian court ruled that the MMR vaccine caused brain injury leading to autism in the case of Valentino Bocca. This ruling was intentionally blacked out by the American media. The Japanese government halted the MMR in 1993 due to rising autism rates. To date, the US vaccine injury compensation court has paid out approximately $3.1 billion to families of vaccine-victimized children. The actual number of awarded cases nevertheless is very small compared to the large number of claims filed and subsequently denied. Among these are cases related to autism, such as Hannah Poling, Bailey Banks, Ryan Mojabi, Emily Moller, and several others. Many more compensations have been awarded to cases of vaccine-induced encephalitis or brain inflammation, a common event associated with regressive autism. Therefore, within the legal record, contrary to the adamant denials of the CDC and pro-vaxxers such as Paul Offit, vaccines can cause autism. Thimerosal, the ethylmercury preservative commonly found in vaccines, is perhaps the ingredient with the longest history of controversy. The pharmaceutical company Eli Lily tested thimerosal back in 1930, giving it a clean record of safety even though its own trials had shown it caused serious neurological damage and even death in both animals and humans. During that decade, a competitor vaccine maker, Pittman-Moore, had also conducted toxicological studies with dogs and concluded the preservative was “unsatisfactory as a serum intended for use on dogs.” During the Second World War, vaccines with thimerosal were required to be labeled as “poison,” and later in 1972, Eli Lily itself discovered that thimerosal in doses a hundred times weaker than in a typical vaccine at that time, was “toxic to tissue cells.” Nevertheless, the drug maker continued to promote the illusion that thimerosal was safe and highly suitable as a vaccine preservative. Government health officials and vaccine manufacturers to this day have known of the long history of research confirming thimerosal as a toxic poison unsuitable for human delivery. A former leading vaccine developer for Merck had once warned his firm of the dangers of administering mercury-laced vaccines to newborns and infants and declared that the industry knows very well there are “nontoxic alternatives” that were equally effective and could be used to replace thimerosal. The scientific literature relied upon to discredit thimerosal risks contain serious flaws in trial design and the quality of science. When the father of the modern pro-vaccine ideology, Dr. Paul Offit, goes on the attack to condemn anyone who would suggest a thimerosal-autism association, it is difficult for a rational, objective person to take him seriously. None of the most commonly cited twenty-plus primary flagship studies referenced to discredit thimerosal risks is a biological study. Instead each is either an ecologic or cohort report. Most of these studies have been independently reviewed and trashed for gross bias, serious design flaws and scientific negligence. The chief author of the ever-popular Danish thimerosal-autism survey is under criminal investigation for embezzling vast funds from the CDC to finance the study. A review of the Danish study’s collection methods reveals immediately it was a complete sham. Since these studies are only statistical analyses using a variety of massaged parameters to compare select populations or sub groups within a population, they are highly predisposed to intentional design defects and data manipulation in order to reach a desired result. For this reason ecologic and cohort studies are politically desirable within the vaccine industry and the CDC. Data can be massaged in numerous ways to reach a chosen conclusion. However, in the real world of hard science, such observational, non-biological studies lack the methodological rigor to establish trustworthy scientific assumptions. In fact, the only conclusion we can draw from the arsenal of studies cited incessantly by the deniers of thimerosal’s neurotoxicty is that more comprehensive and rigorous research is demanded. Although significant attention is being placed upon the presence of thimerosal in vaccines, most vaccines no longer contain the mercury preservative. By 2001, except for the influenza vaccine, mercury has been either completely removed or present only in trace amounts for all other vaccines given to children under the age 6 months. One would therefore expect that autism rates would noticeably decrease; however, the opposite has been the case. Since 2001, autism continues to steadily rise annually. The CDC argues that this proves thimerosal is not the culprit. It ignores a 2012 Australian study published in the journal Toxicological and Environmental Chemistry that there is a direct maternal transfer of ethylmercury from pregnant mothers to the embryo/fetus. 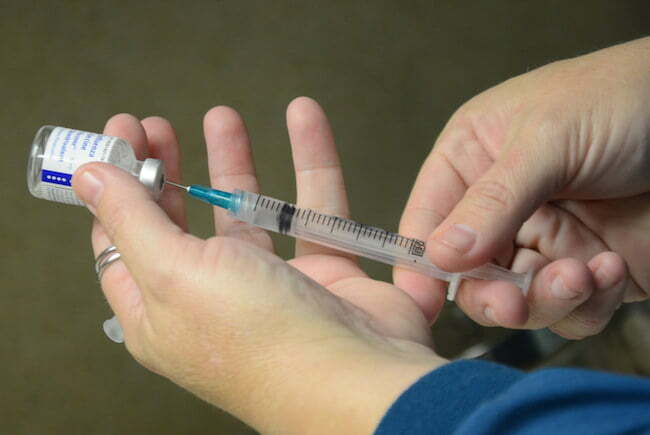 It remains American federal health policy for pregnant women to receive the flu shot that contains 25 mg of mercury. But vaccinations’ association with neurodegenerative conditions was never solely about thimerosal. Another culpable ingredient now conventionally used in most childhood vaccinations, and also associated with adverse neurological effects is the adjuvant aluminum. Since 2000, as thimerosal was being phased out, the aluminum adjuvant burden has increased. 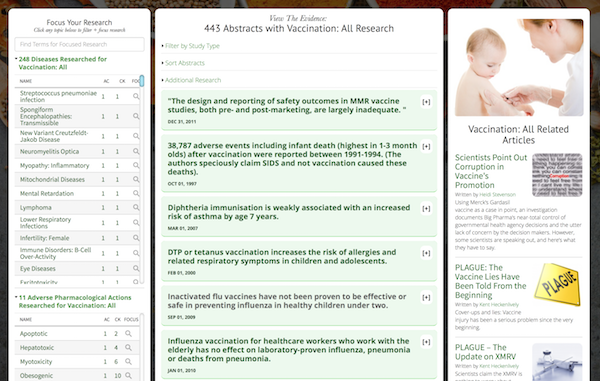 For research on vaccinations, visit the GreenMedInfo.com Research Dashboard. A pathological mind creates a pathological society. Why have we not looked under the hood to see why we have forsaken our own light? 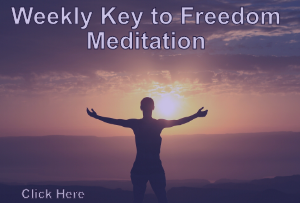 It is up to us to become aware of our thoughts and decide if these thoughts are our own or if they are outsourced. It is up to us to become aware of our body’s responding to external impulses that do not feel particularly good to our body. I certainly hope THIS info is NEW to SOME folks…Its been known for decades to those whole live: “OutSide-the-Box”.